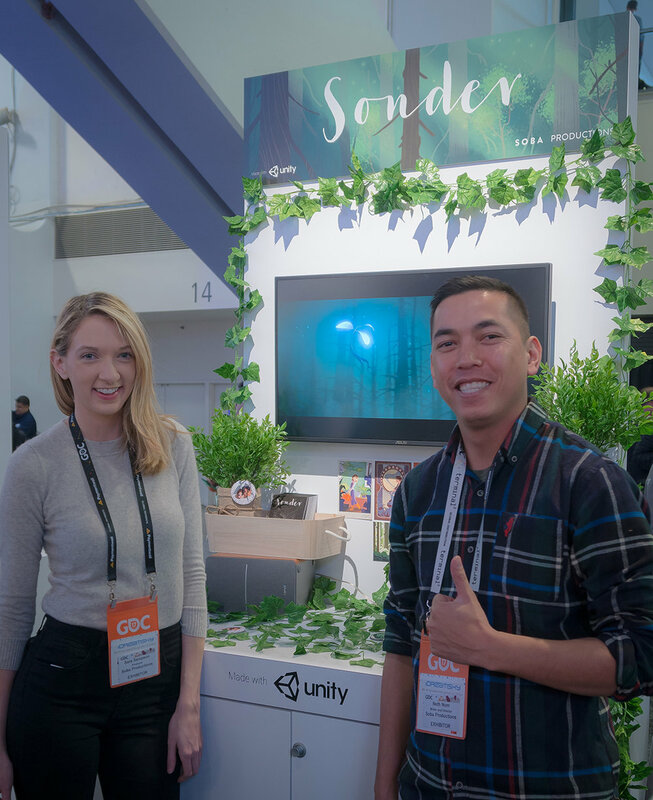 Earlier this month, a few members of the Sonder crew attended the 2017 Game Developers Conference (GDC) at the Moscone Center in San Francisco. We had a great time showing off the film’s teaser trailer, giving out Sonder-themed swag, and mingling with conference attendees. But what was an animated film like Sonder doing at a conference for game developers? Well, our film is one of the first narrative projects ever to use Unity, the most popular rendering engine among game creators. With Unity, we’re able to render Sonder in real-time, saving countless hours of production time and opening up new possibilities for how the film might be viewed and experienced. It was exciting to be able to showcase the technology in a new way to the developers who know it best. We styled our booth to match the natural setting of much of the film. Our producer Sara Sampson and writer/director Neth Nom. Megan is in the zone. 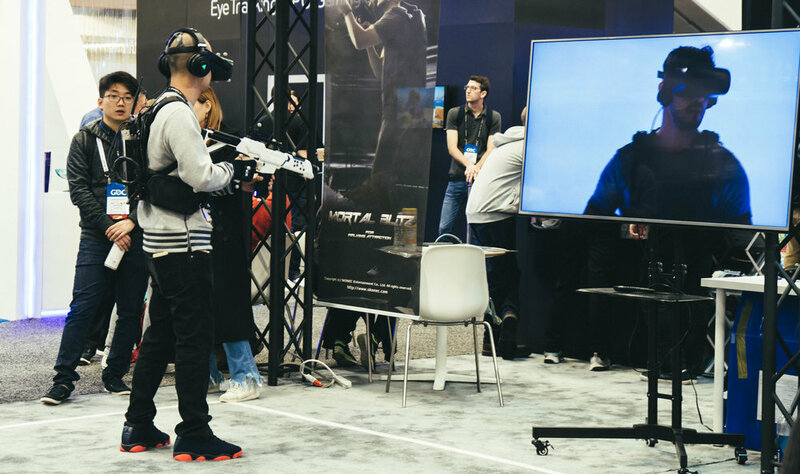 We also got to roam Moscone and try out the latest and greatest gaming and VR gadgets. Finally, Sara, George, Marius, Andrea and Neth are all smiles at the end of a great week.